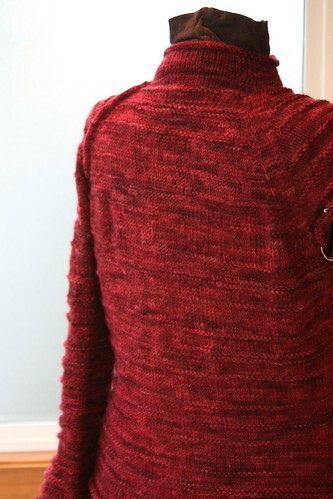 I’m well on my way to finishing the next SFAS(Sweater for all Seasons) sweater. What do you think of it so far? The fit is exactly what I wanted and all the details are coming together nicely. I can hardly wait to tell you all about them, but I will. Today I want to talk about a name. 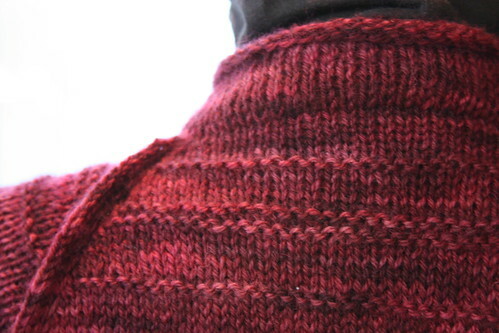 So far I’ve been calling this sweater Number 2. Not very appealing, or hopefully appropriate. A new name is definitely in order. Too bad I don’t have any clue what to call it. What I do know is that I like the idea of naming all the sweaters in the club after rocks or minerals. 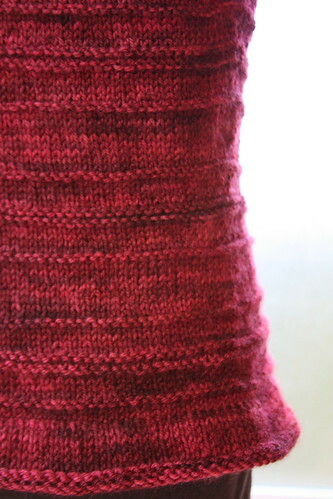 Having a theme to work with is part of the reason I choose to name the first sweater Flint. I thought it would make the rest of the naming easier and make it clear they were part of a set. Unfortunately there seems to be two problems with that plan. First, mineral/rock names are very popular and all the common ones have been used. In many cases repeatedly. Second, I don’t know a thing about rocks that I didn’t learn from Magic School Bus. That means I’m only familiar with common names, which brings us right back to problem one. Oy. While being generally grumpy about the pickle I’ve gotten myself into I starting thinking things like, “How the heck am I supposed to figure all this stuff out? !” and “When do I have time to research rocks? and so on. Then my whiny four year old came out and said, “Why can’t someone else do this”. Generally I’m not in favor of whiny four year olds, even if they are only in your head, but in this case mine had a point. Why not? I’m hoping some of you are experts on the subject or just feeling a lot more creative than I am and are willing to share your name ideas with me. I also thought this would make a fun contest. Good for me plus good for you equals a win win in my book. So you suggest a rock/mineral related name in the comments and I’ll sign the winner up for SFAS. If the winner is already a member of the club (or just prefers) they can choose any three of my other patterns as their prize. All patterns will be delivered on Ravelry and in PDF format only. The contest will run until noon on November 15th. PPS - Only 6 more days until Flint is available for individual sale! It's sort of rocks/geologically inclined and means: "a series of ridges, furrows or linear marks"
Tectonic....my middle schooler just finished studying layers of the earth, earthquakes, plate shift, etc...so I thought this went along with the lines/layers of your sweater. I would suggest the name Corundum, which is the base mineral from which we get ruby and sapphire. I like the idea that this the base sweater pattern for creating your own personal gem, and corundum is fun to say. Cuz you have used my favorite color at this very moment...what imediately comes to mind is Mica (because the ridges remind me of the the mica rocks that we used to chip away at as kids). Since there are Mica socks, the name Shard comes to mind. The pieces of that rock. Beautiful sweater and I like it as much as Flint. Okay, so my very first thought was 'Cleavage.' Cleavage is used to describe ways that minerals split along certain planes based on their crystallographic structure (think how the rock typically breaks or chips away). In college, the geology department really wanted shirts with rocks on them that said 'perfect cleavage'...it was mostly the boys, but we loved our corny rock jokes. But....I don't think cleavage is a good name for a sweater (as much as the lines running across the sweater remind me of perfect cleavage in a mineral). So I had to pick a name of a mineral that also has perfect cleavage. It has perfect cleavage, just like the sweater. It's a mica, but I like the image I get when I say muscovite to myself. A cabin with snow, a well-built waiter bringing me a cuppa hot cocoa and all because my sweater has perfect cleavage. I can't believe that the first thing I thought of was "striations" and when I got to the comments, the first name was "striations". Great minds think alike(lol). My vote is for Moraine. A moraine is a geological formation that can be "a mound, ridge, or other distinct accumulation of generally unsorted, unstratified glacial debris (called till), deposited by direct action of glacier ice." 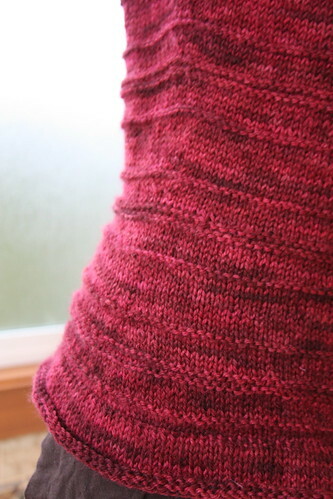 The garter ridges in varying widths on the sweater remind me of ridged moraines. Alluvium: deposits of earth, sand, gravel, and other transported matter, made by rivers, floods, or other causes, upon land not permanently submerged beneath the waters of lakes or seas. The purl ridges reminded me of the ridges of deposited material on an alluvial plain (ancient) or at the tide line on a beach (recent). Lovely pattern; can't wait to see the finished design! Ooooh, I love the bands! Sardonyx can exhibit pretty bands. With the ridges, the sweater looks to me like a sedimentary rock: the name Sandstone is taken, but not Claystone or Siltstone or Mudstone. Or you could call it Sedimentary (which would suggest that sweaters #3 and #4 could be Igneous and Metamorphic...). This colorway reminds me of hiking Red Rock Canyon. Agate - a variety of chalcedony, as is Flint. Agate is a banded variety of chalcedony. There are other varieties also: jasper, sardonyx, carnelion. Chalcedony is another really cool name--with connotations of elegance, mystery, preciousness. The mineral itself is highly structured, like this very elegant sweater. Chalcedony can also be several different colors so is not dependent on your gorgeous colorway choice. I'd really like Limestone as a name, as it is a sedimentary rock and flint sometimes occurs in it. However, there's already a shawl that has Limestone in its name (though it's not the full name), so an alternative might be Karst. Karst landscapes are formed when water slowly dissolves the limestone (or other soluble bedrock) and eats holes into it. Karst landscapes are stark and beautiful. Gosh - I'm impressed with everyones knowledge and originality. I don't have any inspiring thoughts as to a good name but love some of the suggestions. How about Sardonyx? I found a picture of a red striated rock and that was what is was called. Arkose - like Ayers Rock in Australia - because it's stunning, simple, and for the colors. I vote for Ruby Rock...after Ruby Beach in Northern Washington. Jasper. My first reaction was banded jasper. Jasper comes in red, yellow, brown or green and rarely blue. Well, since you asked, you could name it after one of my dogs-Onyx, Agate or Obie (Obsidian). Only Obie is still alive and well. My DH is a big rock guy, which explains the names. 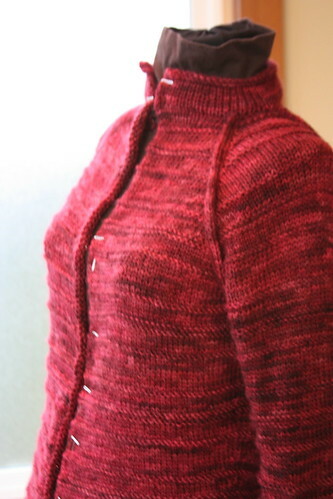 But really, the gorgeous sweater needs a gorgeous name-and Geode comes to mind. Open up the pattern and see what is created inside. When I saw the shape, the very first thing that came to mind was "Skimmer" 'Skimming' because of the way you've shaped it to skim along your shape. You can 'skim' rocks across a pond. Probably too loosely related, but it's all I've got. Gorgeous piece btw. In doing a google search, I found a lot of interesting things about stones, including this: Rhodonite soothes the nervous system. This gemstone vibrates with love. Just holding this gemstone promotes relaxation and brings a sense of well-being. This is a balance gemstone and is used to clear the psychic centers.Rhodonite raises self worth and helps ward off negativity. It has been known as a "rescue stone". "Perthite" is an intergrowth of two different Feldspar minerals in one rock. Perthite is usually composed of veins or stripes of one Feldspar running through a different Feldspar. I like Beryl or Lapilli Tuff. Both are minerals according to the internet. But to be honest, Moraine sounds good. How about Halite? Like others have said, the purl ridges bring stratified / sedimentary rocks to mind. Halite is one of the few minerals commonly found in sedimentary rocks... and not a pattern yet! You're right, I was surprised how many mineral / rock names are used for patterns! I like Pyrite, Gypsum or Travertine. Very lovely, Sam! 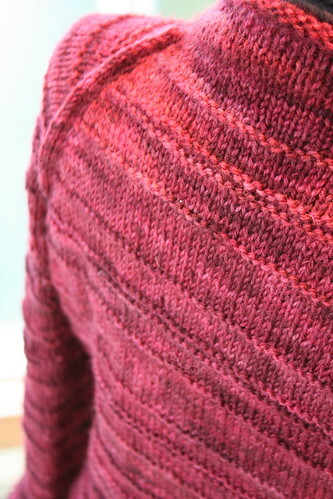 And the horizontal ridging really works nicely-it's subtle and not stripey! Looks like you have some great name suggestions and I'm not feeling very clever, but I can hardly wait to see what you end up naming it! Slate - a type of metamorphic rock (rocks with layers or banding). When I saw the layers I immediately thought 'shale'. From wikipedia: Shale typically exhibits varying degrees of fissility breaking into thin layers, often splintery and usually parallel to the otherwise indistinguishable bedding plane because of parallel orientation of clay mineral flakes. Perfect for this sweater!